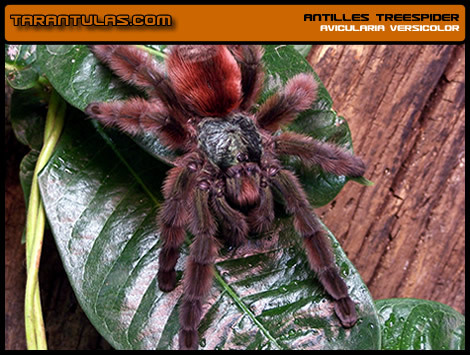 TARANTULAS.com is the original Internet source for tarantula information and was a leader in tarantula retail sales and captive breeding. Effective with the Spring of 2013 TARANTULAS.com ceased retail sales and now only supplies pet stores through its parent company Northwest Zoological Supply of Edmonds, WA. Wholesale inquiries from licensed brick and mortar pet shops may be directed to alex@nwzoo.com. Written by TARANTULAS.com's former manager Michael Jacobi, Animal Planet's Tarantulas is a new concise and informative bookcovering the exciting hobby of tarantulaculture. This book is intended to introduce keepers to tarantula keeping and promote correct husbandry techniques. This book distills essential tarantulaculture and tarantula biology and behavior to 30,000 words that conclude with a brief overview of breeding. Clickhere for more info on ordering the print book or Kindle edition. (This book is not sold by TARANTULAS.com). TARANTULAS.com continues to provide exceptional information on tarantula keeping to both the beginner and advanced keeper. Please see the Quick Links in the right sidebar to read articles on important tarantula husbandry topics. As one of the first arachnid hobbyist cyber-communities, TARANTULAS.com originally featured an interactive member's forum. However, over time our forum saw decreased use as other hobby portals went online. Some have since fallen by the wayside, but one in particular has become enormously successful - ARACHNOBOARDS. Running a huge forum requires a great deal of time for post moderation and site maintenance, and we simply don't have it. The original mission statement when this site was launched well over a decade ago read, "Our goal at Tarantulas.com is to become the #1 resource on the internet for those interested in invertebrates. We wish to provide extensive information for anyone seeking knowledge about the world of invertebrates, from the novice to the hobbyist to the scientific community...We value you, as a viewer and user of this site and gladly accept your valuable input." That mission hasn't changed. Although the forum is gone and we no longer sell tarantulas to the public, we still intend to provide exceptional content. There is a lot of info out there in cyberspace — much more than when this site began. But there is an escalating amount of poor information often passed as expert advice, and here we seek to provide you with a trusted source of information written by the most experienced tarantula keepers anywhere. Please visit our Care Info page to learn more about tarantula keeping and breeding. Before you purchase an exotic animal you should read a good concise book on the subject. Research your animals' needs prior to becoming responsible for their welfare, NOT after! Whether you are just considering a pet tarantula or already own a few, there are only three books we recommend. We don't sell them, but they are readily available from pet stores, online sellers and your public library. For your convenience we provide links here to Amazon.com's book pages. Be wary of all other books. Written by TARANTULAS.com's former manager Michael Jacobi, Animal Planet'sTarantulas is now available and is our first choice for a concise tarantula care book!